One of Myanmar's least known minority communities are the Myanmar Jews. There have likely been Jews in Myanmar for many hundreds of years, perhaps since ancient times. The first Jew known to Myanmar history was Solomon Gabirol, who served as an officer in the army of King Alaungpaya (c.1755). Jonas Goldenberg, a Moldavian Jew, made a fortune in logging as a business partner of the Mandalay court under King Mindon. Many Jews who arrived in the 19th century were Baghdadi Jews. By the early 20th century, there were over 2,300 Jews living in Yangon alone (which then had a population of approximately 400,00). The principal synagogue (Musmeah Yeshua) of course still stands in 26th Street. The Yangon Jewish cemetery contains over 600 gravestones. The Sofaers were one of the leading Jewish families. David Sofaer served briefly as mayor and the beautiful Sofaer building still stands at the corner of Pansodan (Phayre Street) and Merchant Street. 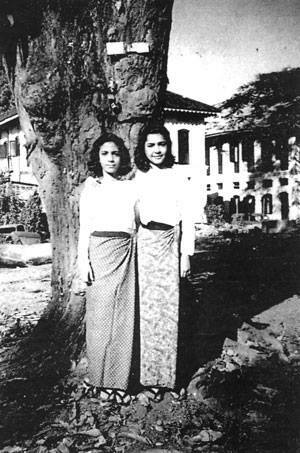 The Solomons were another leading Yangon Jewish family. Ezra Solomon, for example, was born in Yangon in 1920 and graduated from Rangoon University in 1940, before studying at Chicago University as a Burma State Scholar. He chose not to return after the military coup in 1962 and went on to become a very influential financial economist as a Professor at Stanford and advisor to President Nixon. The first photograph is of an early Sofaer business along Merchant Street.